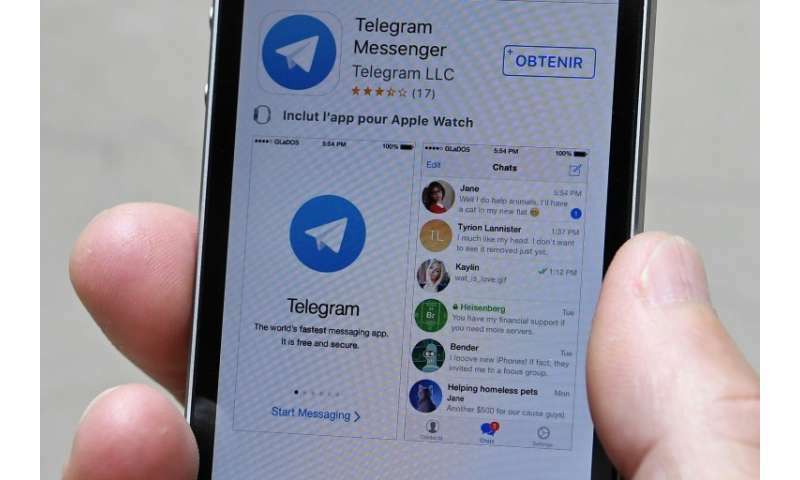 Russia's Supreme Court on Tuesday ruled the popular Telegram messenger app must provide the country's security services with encryption keys to read users' messaging data, agencies reported. Media watchdog Roskomnadzor instructed Telegram to "provide the FSB with the necessary information to decode electronic messages received, transmitted, or being sent" within 15 days, it said on its website. Telegram had appealed against an earlier ruling that it must share this information, but this appeal was rejected on Tuesday. If it does not provide the keys it could be blocked in Russia. The free instant messaging app, which lets people exchange messages, photos and videos in groups of up to 5,000 people, has attracted more than 100 million users since its launch in 2013. Telegram's self-exiled Russian founder Pavel Durov said in September 2017 the FSB had demanded backdoor access. When Telegram did not provide the encryption keys, the FSB launched a formal complaint. Tuesday's ruling is the latest move in a dispute between Telegram and the Russian authorities as Moscow pushes to increase surveillance of internet activities. Last June, Russia's state communications watchdog threatened to ban the app for failing to provide registration documents. Although Telegram later registered, it stopped short of agreeing to its data storage demands. Companies on the register must provide the FSB with information on user interactions. From this year they must also store all the data of Russian users inside the country, according to controversial anti-terror legislation passed in 2016 which was decried by internet companies and the opposition.